The Occult Scrivener: "Occult Traditions" A Review! Well, it has been a while since my last blog entry, because the topics I was going to discuss I decided to keep quite about for a little while longer! 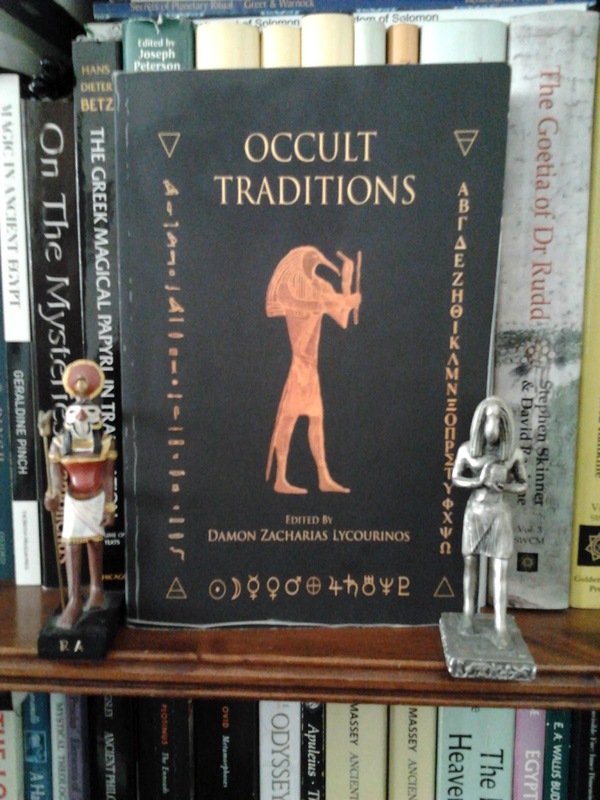 But here is something that I am not going to keep quiet about because this is worth making some noise about, and this noise is my review of “Occult Traditions” edited by Damon Zacharias Lycourinos, and published by Numen Books. When I found out about the future publication of this book I was really looking forward to it, this was mainly because the list of topics by the contributing authors (some of which are well known in the occult world) looked rather intriguing. I did have some hesitation though which stemmed from a couple of previous occult books I have purchased of a compilation of different authors, which were not as good as I had hoped. This was mainly because some of the chapters in these previous compilations have ended too soon, therefore, not containing enough information to grip hold of my attention and whet the appetite for more. That was not the case with this book though! From start to finish my attention was captivated by the knowledge, skill and scholarly depth of insight that this book gives from all the different authors. That is right; ALL the different authors! 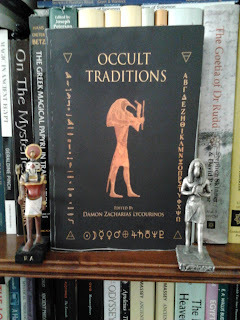 The book's first two chapters are conjured up by Damon Zacharias Lycourinos, and these are : “Conjuring Magical Assistants in the Greek Magical Papyri”, and: “The Spell of Pnouthis as a Mystery Rite in the Greek Magical Papyri.” These two chapters are bursting forth with information that will form links with the reader's own ideas, and help to illuminate them to new levels of understanding within his or her own field of magical knowledge. For example on page 35-36 Damon (through his knowledge of the Greek Magical Papyri) notes “the magicians of the PGM did not distinguish between magic and mystery cults.” He explains this by showing that the magician refers to himself as an 'initiate' while those who are not are called 'uninitiated'. Damon then goes on to say: “This clearly shows that the magicians of the Greek Magical Papyri, in various parts of the body of texts, magic and the mysteries belonged to the same sphere of ideas and operations.” This is just one of the thirteen notes I took from just these two chapters, because this point that Damon makes lends more supportive weight to my own ideas that the the mystery cults' teachings which were taught in allegory and analogy, are the principles that are used as a foundation for the magician of the PGM to know how to work magic! Most of the book was full of little gems like this for me, especially the other chapter to do with the PGM by Aaron Cheak called: “Waters Animating and Annihilating Apopheosis by Drowning in the Greek Magical Papyri” This is a most intriguing chapter that contains so much information that I don't have the time or space to go into here. But, it was great to see that this author used less well known books to quote from that are part of my own occult library. Like one of my favourites 'Fulcanelli' “Le Mystere des Cathedrales.” Yet again, this was another chapter containing many bits of information that I will find useful to quote for my own writings. The next few chapters move on from these previous ones in a kind of time line fashion. Starting with Christopher A. Plaisance' “The Hierarchical Cosmos Occult Theology as a Direct Continuation of Neoplatonism.” This was a lucidly explained chapter giving excellent analogies to explain what can be seen as difficult concepts to comprehend. Such as using the simple idea of a brown horse running across a field to explain in an easy to understand way the emanative process of Neoplatonism. After this chapter, we are given an informative look at the history of the grimoire tradition, by David Rankine, which is another brilliantly written chapter taking us from the beginning to the end of the grimoire period. This is followed by more on grimoires from Ioannis Marathakis, who delves into the source of the Key of Solomon. The chapter after this was a lovely surprise about a late-eighteen century Icelandic Galdrabok that I have not come across before. 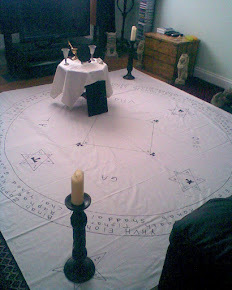 This is a type of grimoire that uses runes for everyday wants and desires, including spells to make someone fart a lot! LOL. Then, there is yet another excellent chapter by Christopher A. Plaisance who shows very aptly the similarity of purpose between Agrippian magic, medieval magic and Iamblichus' ideas that all pertain to the spiritual development of the soul. Do not think that all this book is about academic knowledge and history, for you would be greatly mistaken. The other chapters contain much useful information too, even for someone who wants to try things out on a practical level. For example in one of Gwendolyn Toynton' chapters called “Wizards at War Buddhism and the Occult in Thailand” there is to be found a practice called 'Wong Dai Sai' 'Encircling with Holy Thread' this is a technique using cotton that is fixed to a Buddha and then stretched out around the place to be protected, and then wound back in. This practice could easily be adapted by the innovative magician with their own choice of deity. In another chapter by Ioannis Marathakis about 'incenses' he gives a useful comparative table of grimoire planetary incenses, as well as an excellent short glossary of incense substances. The books last four chapters contain rituals of a Eucharistic Feast of Agathodaimon, A Rite of Solar and Lunar Mysteries of Eros for the Consecration of the Talismans of Helios and Selene, a further two other rituals of adoration and invocation. Plus, there are a couple of chapters on Wicca, one by Melissa Harrington giving forth a detailed account of a Wiccan ceremony, while another chapter by Sorita d'Este eliminates the misconceptions that have been built up around The Wiccan Great Rite. I actually found this rather interesting, which pleasantly surprised me because I don't have much interest in Wicca, but my attention was well and truly gripped by Sorita's enchanted way of writing! This book is a gold mine of information and knowledge, containing things that I have not even heard of before, (which, if we are honest is quite difficult to come by now in this day and age) such as information on an Indian esoteric text from the fourteenth century that uses dogs for divination! You will also find a fascinating account of a Canaanite view of death and necromancy, by Tes Dawson. There is much more to be read within these chapters, and for an all-rounder on occult traditions, I can see this book taking a prominent place on the bookshelf of many an occultist library. This was a very enjoyable and illuminative read, and I can't recommend this title enough! Thank you for your kind words about my review. I had a quick look at your sight and signed up for the free information, which looks quite practical and logical advice. I could do a review, but I am quite busy at the moment with other things. How many pages are there to the book?